Located across from the golf course in beautiful Bancroft, the Bancroft Inn & Suites offers fireplace, jacuzzi and one bedroom suites. 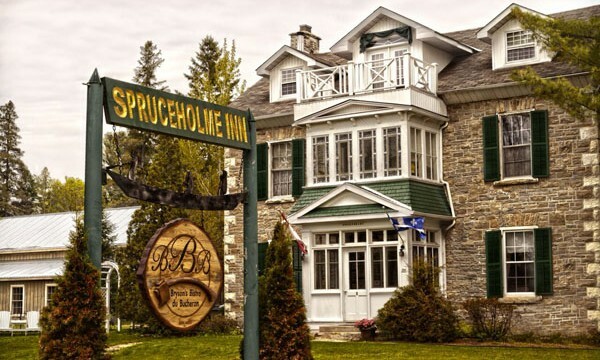 Located minutes to Bonnechere Caves and Algonquin Provincial Park, Pembroke's Comfort Inn offers prearranged outside room parking for motorcycle guests. A modern home in an historical setting where quiet can still be heard, overlooking waterfalls on the Little Mississippi River. 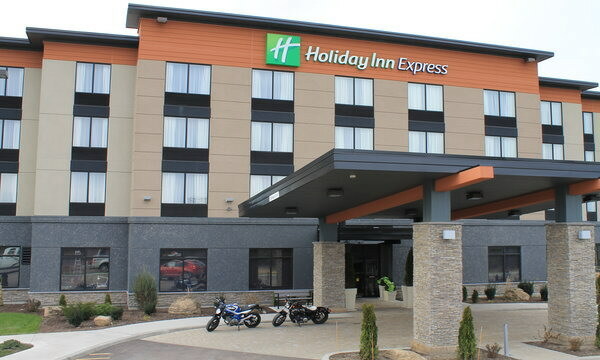 The Holiday Inn Express Pembroke is a brand New 75 room hotel featuring modern day amenities which include free wifi and free breakfast! Located between Barry's Bay and Wilno, the Mountain View Motel offers all the comforts of home including internet, satelite TV and homemade breakfast. Relax and enjoy comfortable rooms with a spacious backyard with a view of Kamaniskeg Lake. BBQ and picnic tables available. Enjoy beautifully appointed rooms, dining featuring chef Wild, and an on-site world class spa along the shores of Golden Lake. Relax in the heated swimming pool, whirlpool and dry sauna at the end of a day of riding.